In 1968’s 2001: A Space Odyssey, man’s ape-like predecessors come across a giant, dark monolith which jump-starts the evolutionary process and paves the way for incredible technological advances. When I stumbled upon today’s giant, dark rectangular product, while I didn’t experience any radical improvements myself, I did start hollering a bit and immediately plunked down the $2 to purchase the next evolutionary stage in dried meat products. Lots of products come in tubes nowadays: yogurt, candy, the Internet. 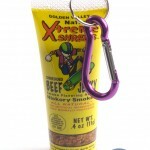 But I had never seen beef jerky in a tube until I came across this product. 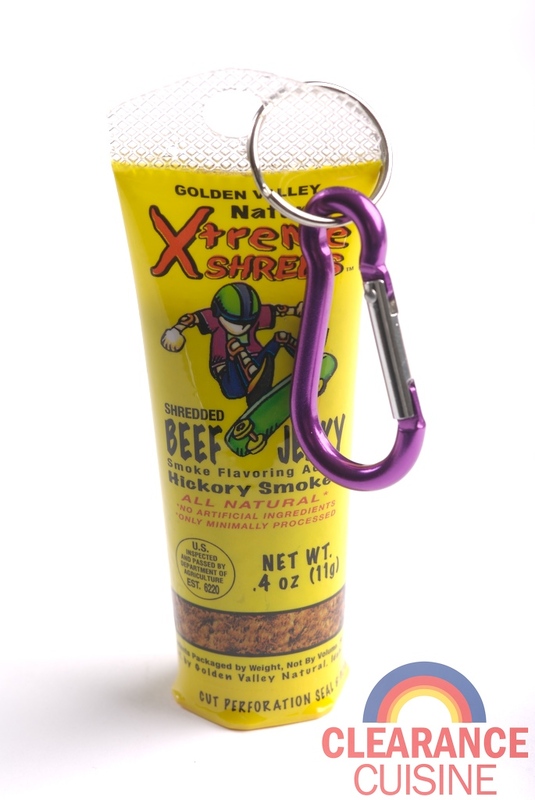 In addition to coming in a tube, it also comes with a carabiner attached. 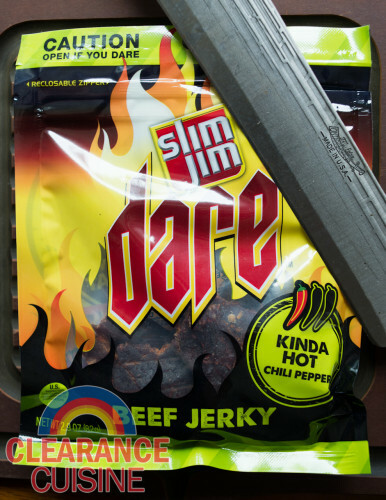 I can’t deny the awesomeness of a dried meat product that is sold under the pre-conceived notion that you will clip it to your belt loop and take it with you skateboarding and other EXTREME (sorry, XTREME) activities. 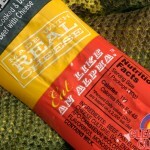 Golden Valley Natural Xtreme (yes, with an X) Shredded Jerky (or “Shreds”) is pretty RADICAL for coming in a tube so you can eat it on the go. You don’t even have to touch it! I’ve seen shredded jerky sold before, but it’s usually packaged like snus in a plastic container.